Fish is one of the common animals used as pets in the house. Petting fish can be one of solution to release stress for fish owners, regardless of the size of the land at home. Even for small houses can still build a mini fish pond. Simply adjust the proportion of ponds, fountains, rocks and vegetation to be planted so that no components will take up much land. 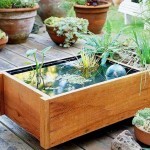 Amrilio has an interesting reference for you who wants to have a mini fish pond. You can create a mini fish pond but with one side of the wall of a mini fish pond that is transparent. 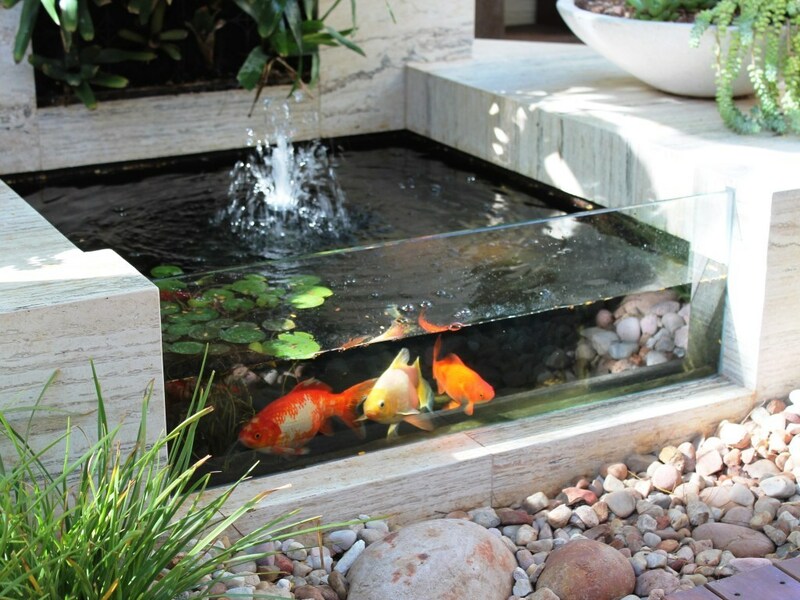 The part of the pond’s wall is glass, so you can see your pet fish clearly. Such a mini fish pond is suitable for maintaining beautiful ornamental fish because the owner can see it more thoroughly. Typically, this model is identical with a minimalist fish pond. The shape is similar to the aquarium commonly used at home, but the installation remains like a mini fish pond, which is at the ground floor. Waterfalls are often an attractive option for holiday destinations. Waterfalls can ease stress for visitors because the falling water can relax the minds of visitors who see it. 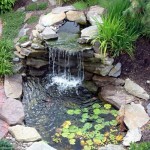 Well, you can create a waterfall atmosphere in your home through a mini fish pond. 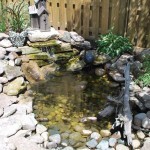 Yes, you do not need to use a lot of land to create miniature waterfalls like this mini fish pond. 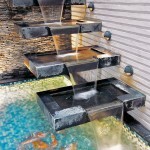 Basically, you can use a fountain model system commonly used as a decoration in the garden at home. The point is the layout of the materials needed. 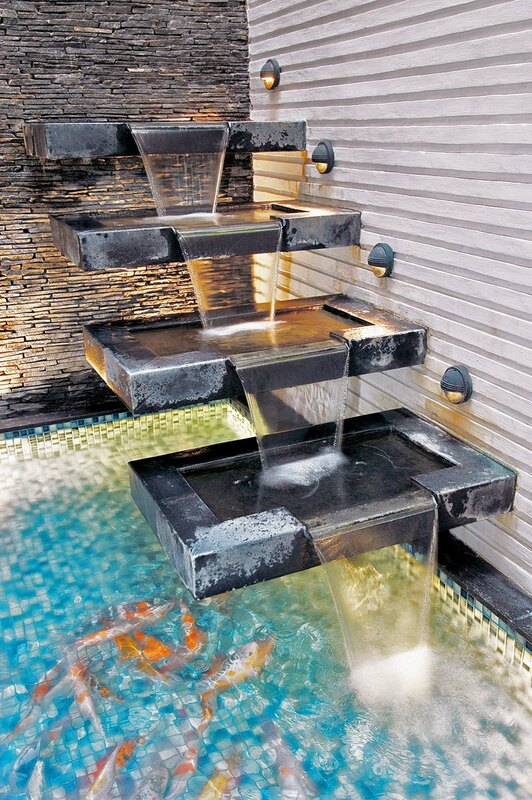 For example a fountain mounted from a high place to a low place so that the mini fish pond looks like a waterfall. Take advantage of the rocks around the fish pond. Add suitable vegetation and leaf ornamental plants to be planted around water, or even below the water surface. 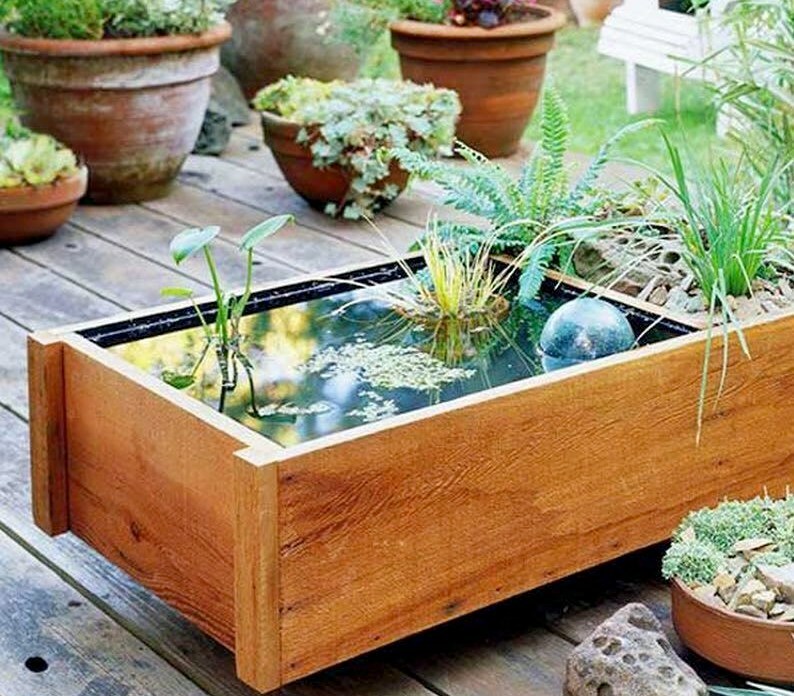 Well, these very natural combinations can make your own mini fish pond into a stress reliever. Usually indoors with limited land, you reduce unnecessary barriers, so your room seems airy, such as a kitchen that has no boundary between the living room space together with a minimalist dining room. Well, you can apply it to your home terrace, you know. 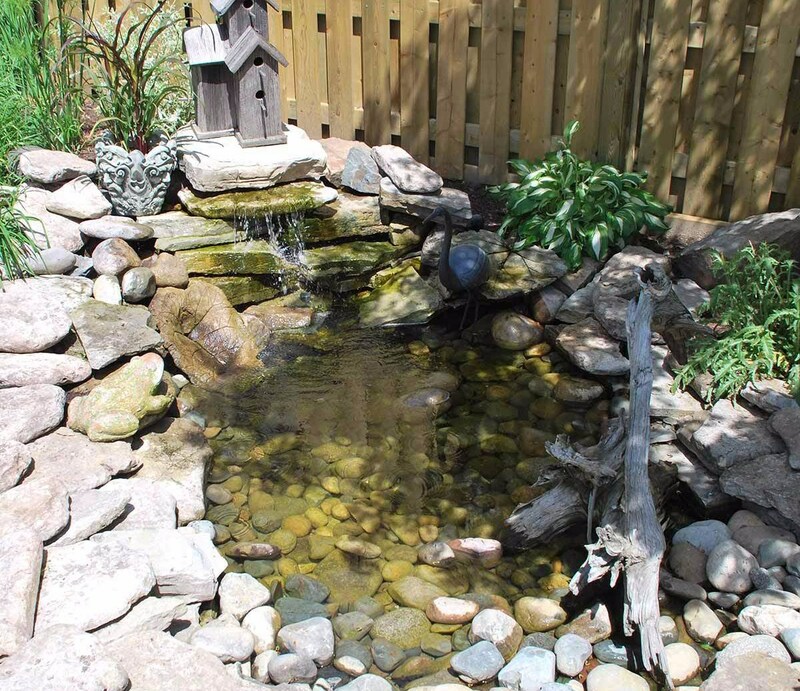 If your backyard lands are limited, you can still build a mini fish pond, really. The key is to reduce the barriers or bulkheads. For instance in the backyard there is a minimalist terrace filled with waterproof chairs and tables, and a strong wooden floor. You can directly connect this terrace with a mini fish pond, so that fish pond will be a concern for people who sit on the terrace. The sounds and motion water as well as soothing fish will help the residents on the terrace to relieve stress. 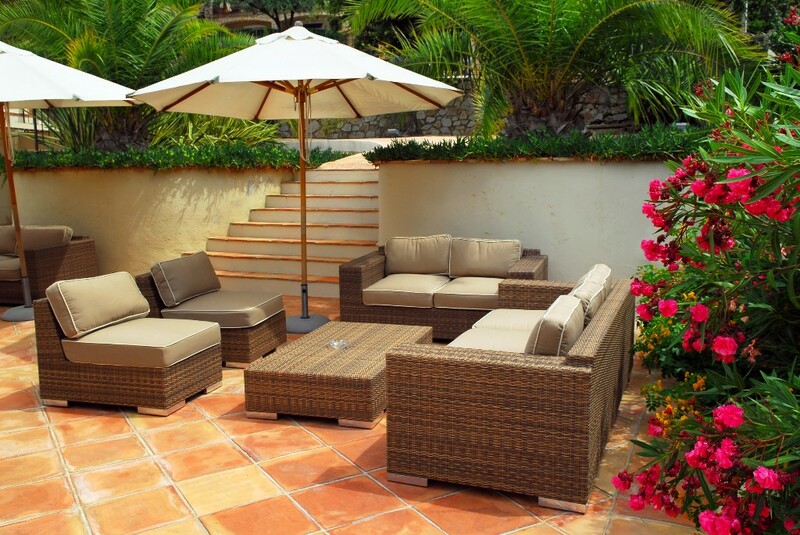 If you like spending time in the backyard garden. Amrilio also recommends the form of a mini fish pond with a small bridge in the middle. 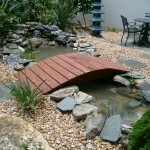 Modern mini fish pond design can also be applied with this small bridge. Install the small bridge road made of stone in the middle of the pond. Make sure the bridge is strong enough, so you can walk in the middle of the pond or even sitting looking at the mini fish pond. 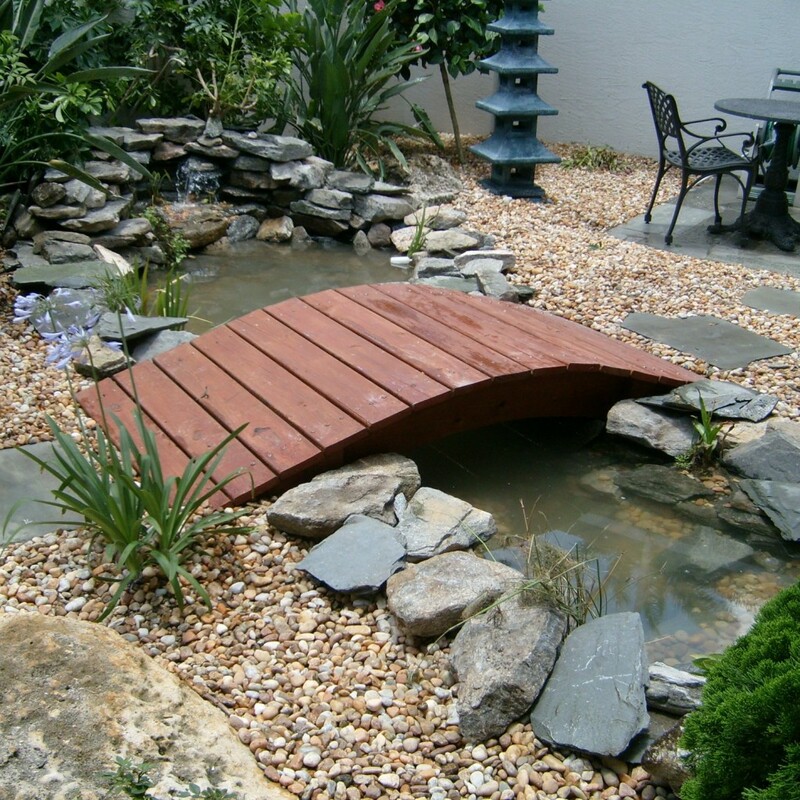 The path shape of the bridge can be adjusted based on your home design style. If you want a waterfall atmosphere but packed in a more modern style, you can imitate one of the design of this minimalist fish pond. 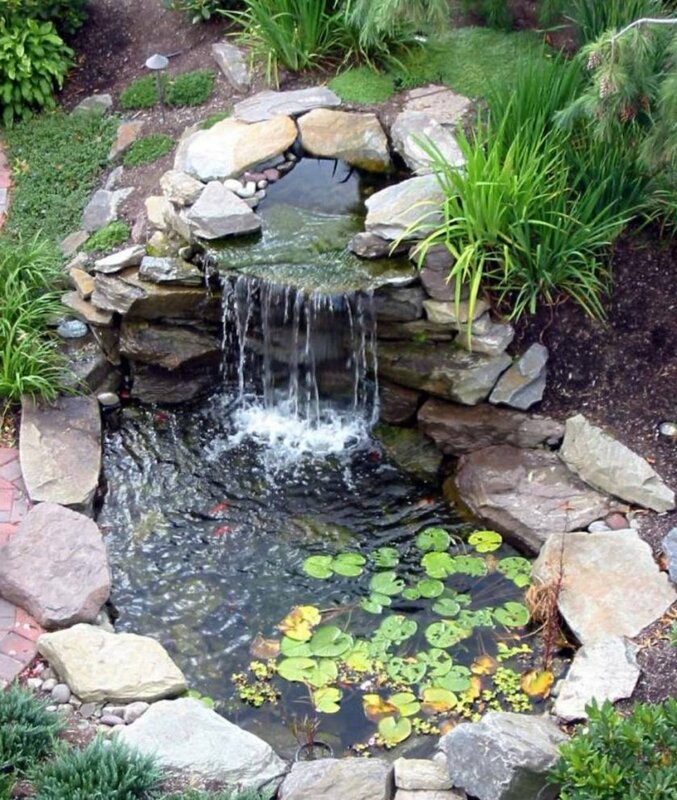 A mini fish pond like this can be placed at the end (corner) of the garden. The shape of the bottom of the pond and the rocks used in mini fish this model is a rectangle. The arrangement is similar to the orderly arrangement of stairs to keep the water flowing steadily. The edge of a simple mini fish pond can also be a means of sitting there while looking at the fish that swimming in this minimalist fish pond. So relaxing, isn’t it? 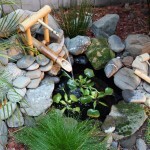 So here’s an example 5 mini fish pond design that can reduce your stress level. The basic keys that can make the object stressful are the dominant air elements, regular fish motion, and natural selection materials. 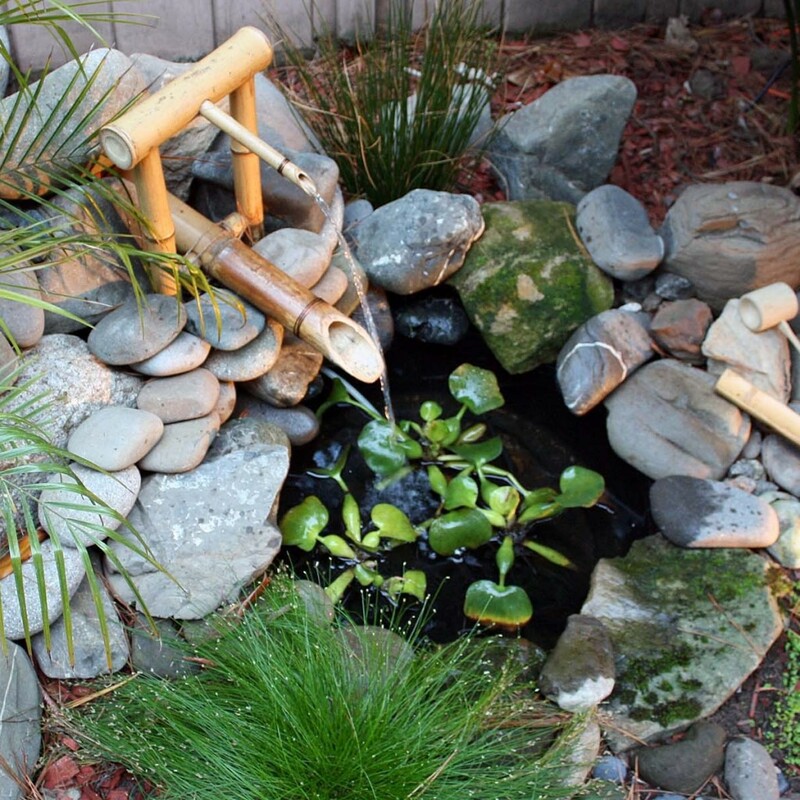 Which mini fish pond designs that become your favorite? 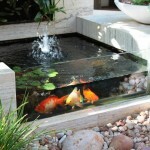 Related Post "5 Mini Fish Pond Design Can Reduce Stress"